(DARTMOUTH, NS) August 30th, 2017 – The MJS Holdings Limited East Coast Mini Stock Tour will thunder to Speedway 660 on Saturday, September 2nd for the second event on their inaugural season. The Pub’s Drive Thru Bottle Exchange 50 is a part of SpeedWeekend, an annual celebration of racing at the Geary, New Brunswick oval. Racing begins at Speedway 660 on Saturday at 6:30pm. After weather battered the first half of the MJS Holdings Limited East Coast Mini Stock Tour season, the year finally began for the upstart series on Friday, August 18th with the Gilmet Designs 50 at Riverside International Speedway. A total of 20 cars showed up with hopes of becoming the winner in the maiden voyage for the tour. Multiple time track champion and big race winner Tim Webster of Beaver Bank, Nova Scotia added to his impressive and lengthy resume with the victory at Riverside. Andrew Warren of White’s Lake, Nova Scotia and Chris Hatcher of Beaver Bank, Nova Scotia joined Webster on the podium in the inaugural race. The Pub’s Drive Thru Bottle Exchange 50 will begin a string of three New Brunswick races that will see the series visit Speedway 660, Petty International Raceway and Speedway Miramichi in three consecutive weekends. Mike Edwards (Penobsquis, NB), who has battled Webster for the track championship at River Glade’s Petty International Raceway this season and Chris Garnett (Havelock, NB), who has had recent podium finishes at both Petty Raceway and Speedway Miramichi, will look to successfully defend their home province turf beginning with this Saturday’s race. Neil Miousse has seen the most success of any driver in the field at Speedway 660. The former Fredericton Gun Shop Sharp Shooter regular called Speedway 660 home for a number of seasons before moving to Kentville, Nova Scotia for the beginning of the 2016 season. Miousse holds down fifth in the series standings after his top five effort at Riverside International Speedway. 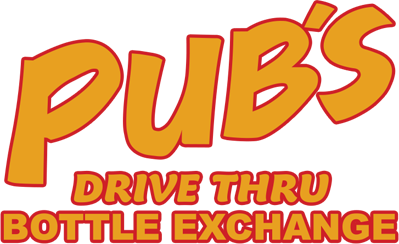 Two teams will opt for driver changes for the Pub’s Drive Thru Bottle Exchange 50 at Speedway 660. Bob Landry’s No. 55 car will be piloted by NAPA Sportsman Series regular Daniel Delorey (Afton, NS) after a knee injury will keep the Havre Boucher, Nova Scotia driver from running in the second round of the year. Megan Parrott (Beaver Bank, NS) will drive the No. 23 Honda for Mark Williams (Elmsdale, NS) after a fifth place finish in the seat last Friday night at a Scotia Speedworld house show. Parrott has competed in the Truck class at her home track for the last three seasons. Dave Matthews (Kennetcook, NS) will bring the Mystery Machine to the Geary woods in hopes of finding the path to victory lane after 50-laps of competition. Valley Raceway champion Jesse Deveau (Greenwood, NS) will make the trek up from the Annapolis Valley for his debut at Speedway 660. One of Prince Edward Island’s top four cylinder drivers in Cody Byrne (Orwell Cove, PE) will head towards New Brunswick with sights set on taking home the Pub’s Drive Thru Bottle Exchange 50 checkered flag. “The Ironman” Drew MacEachern (Dartmouth, NS) will strike another track off his short list of Maritime venues he has yet to compete at with Saturday’s Pub’s Drive Thru Bottle Exchange 50 at Speedway 660. Jerome Tracey (Port Hawkesbury, NS) and rookie Darren Flemming (Belnan, NS) will look to enter the top ten in the standings after their first outings with the MJS Holdings Limited East Coast Mini Stock Tour at Riverside Speedway. Sticker Fool Qualifying will award cash bonuses to the drivers who are successful in winning their heat races. The EIT Race Radios Hard Charger Award will be on the line for the driver who gains the most positions from start to finish in the Pub’s Drive Thru Bottle Exchange 50. Fans that cannot make it to Speedway 660 on Saturday evening can watch every lap live from the track online through Pit Row TV. The premium video broadcast will feature multiple camera angles of the action, live scoring, replays and a feed from the track’s public address system. This is the first time a production such as this has taken place of a stock car race in Atlantic Canada. Fans can tune in to all the racing action this weekend at PitRow.tv. The racing action to kick off SpeedWeekend 2017 begins on Saturday at 6:30pm. The Pub’s Drive Thru Bottle Exchange 50 for the MJS Holdings East Coast Mini Stock Tour will be a part of an action filled card that also includes the $5,000-to-win Martin’s Home Heating Sportsman 150, the Maritime League of Legends Tour A.L. Gullison DKI 50 presented by Ideal Equipment and the first of two Tim’s Corner Motorsports Bandolero Blast events of the weekend. Grandstand gates open at 5pm on Saturday with pit gates opening for competitors at 9:30am. Complete camping, ticket and venue information for SpeedWeekend can be found at Speedway660.com or by calling (506) 454-RACE.